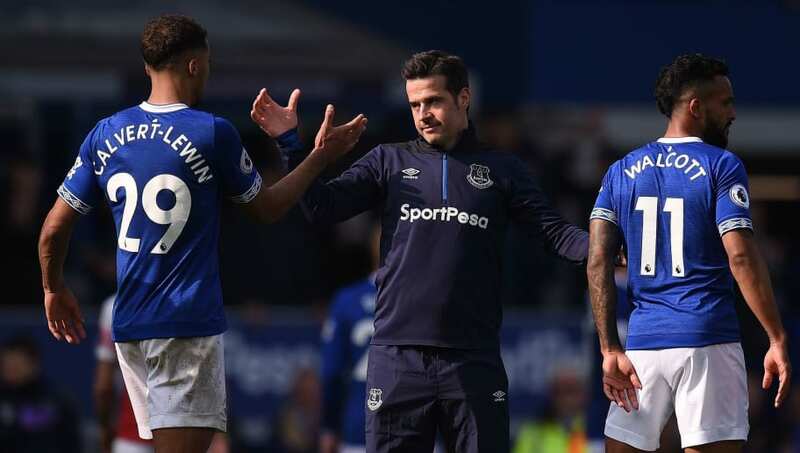 Marco Silva was full of praise for his Everton side after they battled to a 1-0 win against Arsenal on Sunday afternoon. An early strike from club captain Phil Jagielka proved to be the difference between the two sides, helping the Toffees to their third consecutive win in the league, as well as their third consecutive clean sheet. Silva was understandably thrilled with how the afternoon transpired for ​Everton, telling ​Sky Sports: "Congratulations to our players, our fans in our stadium, we fully deserve three points. "To play efficient football, to be creative, to create chances to score, we have to be solid as a team. We didn't give them many chances to create problems. "​The win is fair, but in my opinion more fair with more goals." Jagielka was only included in the starting XI at the very last moment after Michael Keane was taken ill during the warm up, but the defender went on to have a huge impact at both ends of the pitch - something which Silva was happy to acknowledge. "Jags is a very good professional, but he's quality also," added Silva. "He's our captain, he's important to us outside and inside the pitch. He really deserved it. He scored and helped us win." In a strange incident during the second-half, ​Arsenal midfielder ​Mesut Ozil appeared to throw his coat in the direction of Silva from the substitute's bench during a touchline altercation between both sets of coaching staff. "We had that moment during the game," said Silva of the incident. "Football is emotional, he wants the best for his team, I want the best also. "I said the to him at the end, best of luck in the rest of the matches."